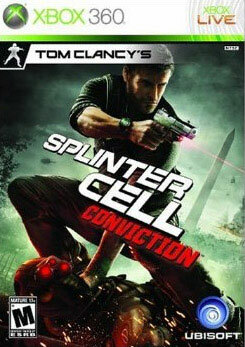 Aukland, New Zealand – A marketing stunt to promote the video game Splinter Cell Conviction, sparked an armed police callout after an actor with bandanges on his hands pointed a gun at terrified pubgoers in Auckland’s Viaduct Basin. About 20 people drinking outside Degree bar dove for cover after the promotions worker threatened them with a black imitation pistol about 8pm on Friday. Senior Sergeant Ben Offner said officers could not tell the gun was made of plastic until they had taken it from the actor. I wish someone would have recorded this on their cellphone camera or something… It would have been interesting to see the realism. I could see things ending up a lot worse in the U.S. considering the amount of people that could be in armed in the vicinity. Preorder? I already beat it. haha. Great game, but a dumb stunt. Oops thanks AJ I corrected the mistake. I thought it meant it “started” shipping tomorrow on Amazon.. but It actually meant that I just COULD get it here by tomorrow. What kind of publicity could you even get from such a stunt? I don’t think Sam Fisher would be proud. That’s one brave actor. If you give someone reason to believe you are threatening their life even if you don’t have a weapon or only an imitation weapon they still have the legal right to use deadly force. Yea if that went down in certain parts of the U.S. that actor would be dead right now.